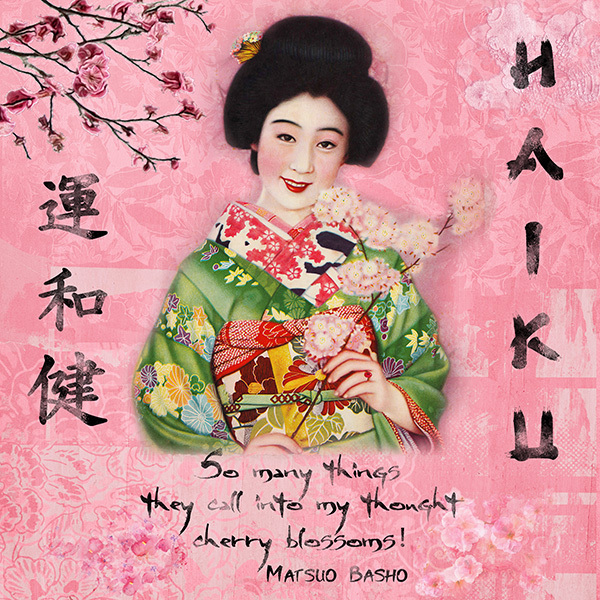 This month's quote challenge is Haiku, a form of Japanese poetry. The basic definition of Haiku is a three line poem where the 1st and 3rd lines are 5 syllables and the 2nd line is 7 syllables. 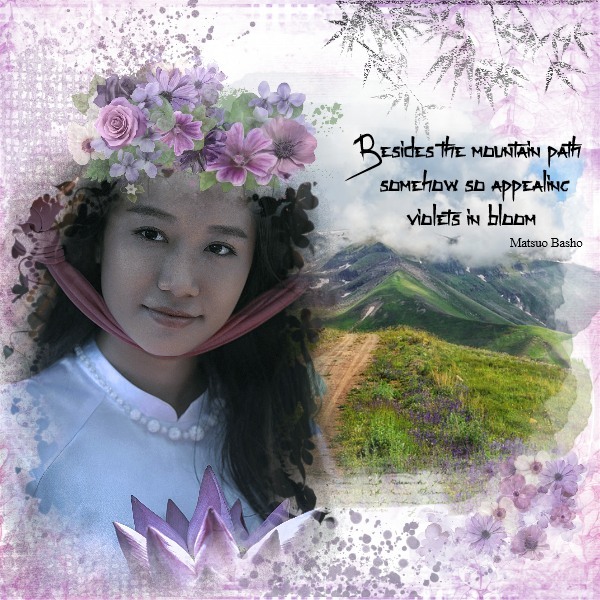 The traditional haiku is about nature and usually refers to a season of the year. Matsuo Basho is considered the most famous Haiku poet of all times. Other famous Haiku poets are Yosa Buson, Kobayashi Issa, Masaoka Shiki, and NatsumeSoseki. Please include the name of this challenge April Quote on your title and upload your pages to the Monthly Challenges Gallery and post a link back in this thread. Thank you for hosting this challenge Grace. As always, great research on the subject. Loving this!! Thank you for the challenge Grace. 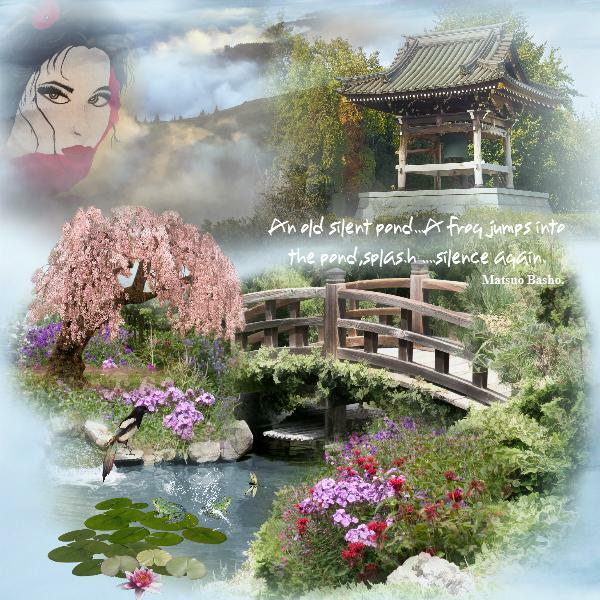 Mary, love the beautiful blending and the gorgeous Asian scene you created for the Haiku on your fabulous page. Thank you for joining in this month's quote challenge. Congrats on the GSO! Rosie, love your gorgeous art doll and the beautiful hibiscus and beautiful Asian background and the wonderful Haiku on your fabulous page. Thank you for joining in this month's quote challenge. Congrats on the GSO! What a great challenge this is. I used to write a little bit of poetry years ago but not in this format so I will have a try and come back sometime this month with a page and a poem. 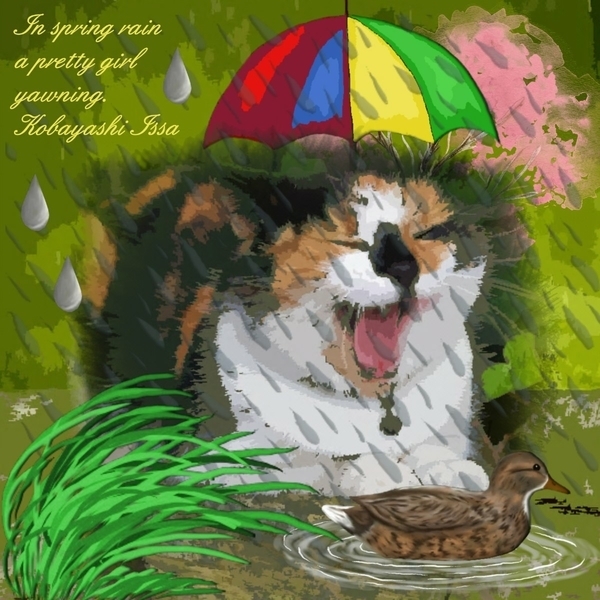 Kathy, love the fun and beautiful scene you created for the Haiku with the pretty cat yawning in the rain. 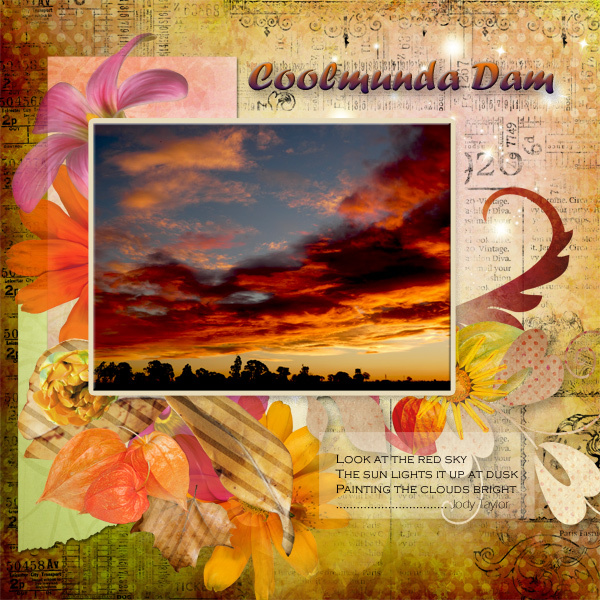 I have used my two GSOs for today but this page will be a GSO tomorrow. Thank you for joining in this month's quote challenge. Anne-Marie, I'm glad that you will give the Haiku poem a try. I've seen a few pages in the Just Art Gallery where members have written their own Haiku. The clouds above the Vancouver skyline reminded me of the Haiku. Thanks for the great challenge. 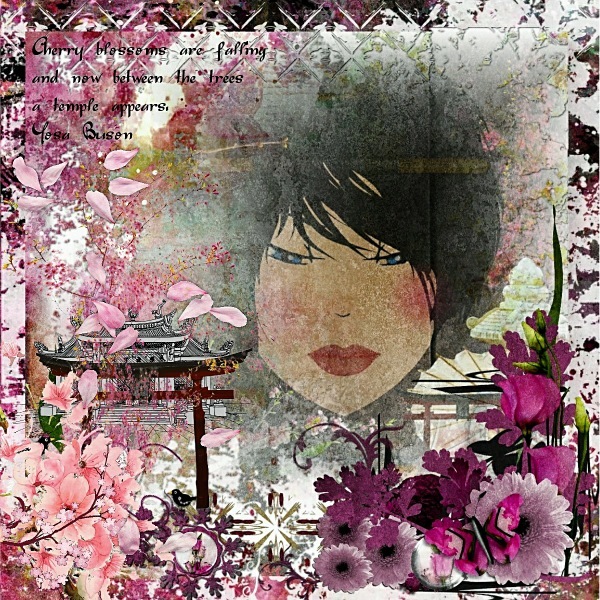 Anita, love the gorgeous image you created and the gorgeous cherry blossoms and the wonderful Haiku on your fabulous page! Thank you for joining in this month's quote challenge. Congrats on the GSO! 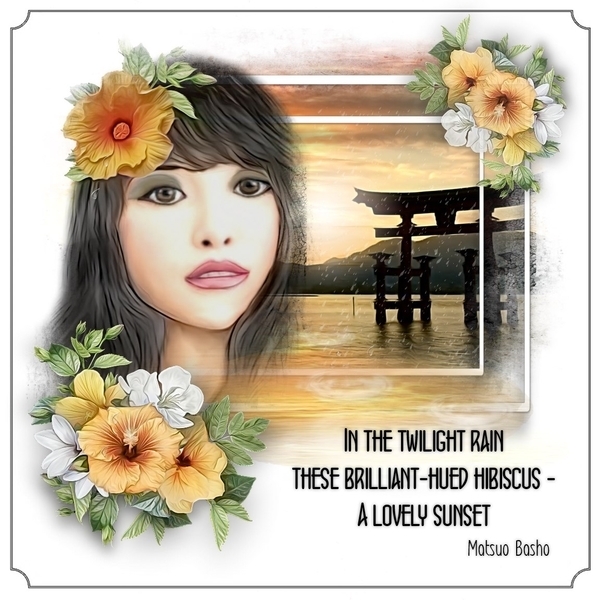 Barb, the wonderful Haiku is beautifully illustrated--love the beautiful headdress on the image and the font you used on the Haiku on your gorgeous page. Thank you for joining in this month's quote challenge. 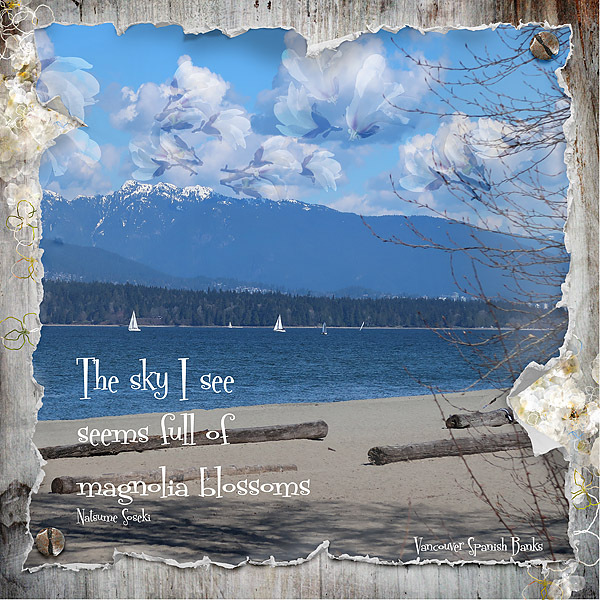 Karen, the clouds above the Vancouver skyline is perfect for the Haiku--the clouds do look like magnolia blossoms--on your gorgeous page! Thank you for joining in this month's quote challenge. 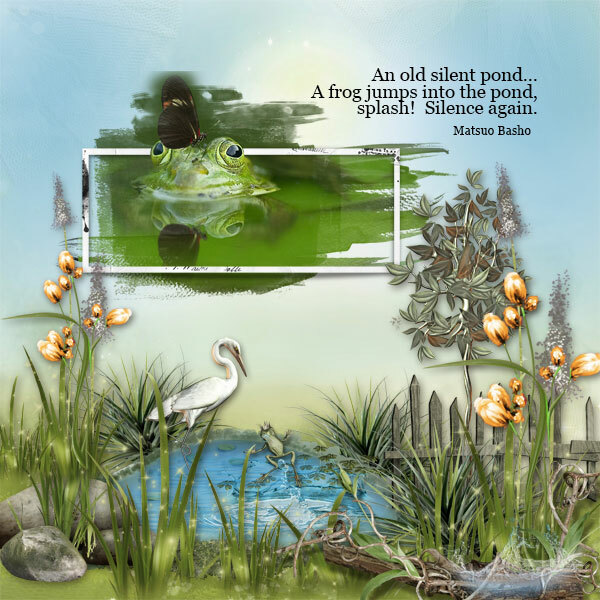 Sherry, love the gorgeous scene you created for the wonderful Haiku--the frog in the pond and the masked photo of the frog are perfect! Thank you for joining in this month's quote challenge. Here is my layout. thanks for a great quote challenge. I decided to may my own Haiku quote, following the 5 - 7 - 5 rule. Kind of weird poetry isn't it.